FACT: Tomatin was once the biggest spirit producing distillery in Scotland, with 25 stills producing over 15 million litres of spirit. The huge expansion of Tomatin between the years of 1954 and 1970 was largely due to huge demand for its fruity, sweet liquid, ideal for the blended Whisky market. 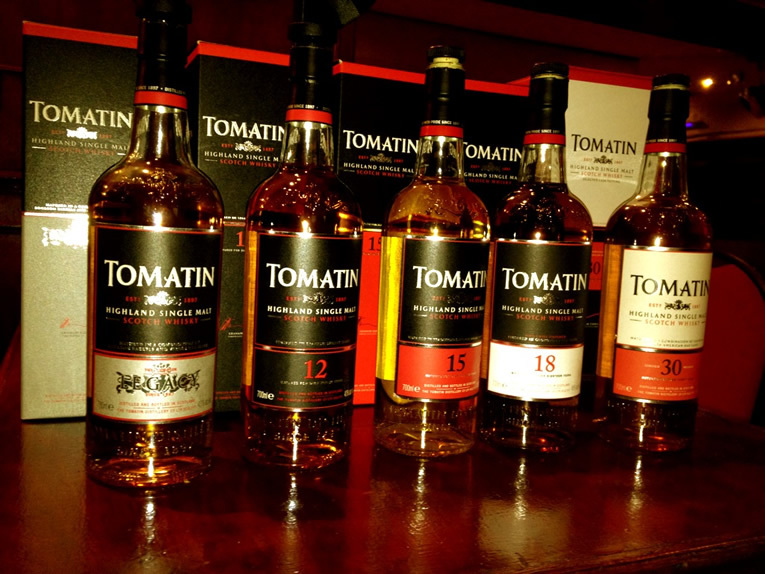 With such a reliable taste profile all the big players in the blended whisky market were hungry for Tomatin. Unfortunately the recession of the early 80’s saw the demand for blended whisky plummet and with it went the Tomatin power house, and in 1984 it eventually fell into administration. BUT in 1985 the distillery was purchased by Takara Shuzo Corp. and after reducing the yearly production to a manageable 2.5 million litres using 12 stills, this distillery is now producing much more spirit for single malt production rather than blend, while still staying true to its popular taste profile. Taste: Aniseed spice, sugar puffs, lemon puffs, custard creams and sweet fresh vanilla pods. My favorites of the night were the Tomatin 15yo and the 30yo, I must confess I haven’t tasted a dram quite like the 30yo in a long time, it is a unique, mouth watering, delicious, big orangey dram, absolutely worth a try. 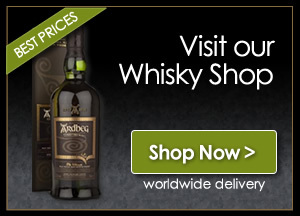 Thanks for your cool blog and tasting notes on Tomatin. It’s not a whisky that I’ve tried much, but I’ll need to give it try after reading your notes on it. Thanks again.